I haven't been big on bag making in the past, but this design really caught my eye because 1. It was a nice simple shape 2. I really needed an overnight bag (I sold my old CK ones on ebay a while back) and 3. This is a free pattern, people! So there was really no excuse I shouldn't try it. I think part of the reason why I haven't made many bags before is because I'm not really into the handmade bag look? You know I love the brighter, cute fabrics for quilting and other sewing projects but it just wouldn't fit my personal style to carry that off in a bag form. So for this, I knew exactly what I wanted. Black! Yes, a black bag! Oh how exciting ;-) but I know it will definitely get used. I really love the caramel coloured bottom, I think it gives it a bit of a luxury feel. Before I had a proper read of the pattern I assumed (stupidly) it was lined so I purchased some yardage of the Michael Miller Mirror Ball Dots as I thought it would be the perfect amount of 'jazzy' for the inside. 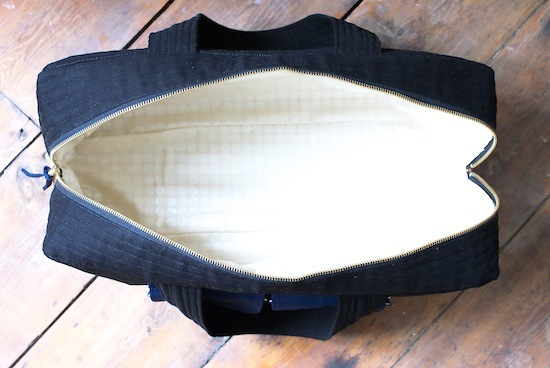 Thankfully I found a couple of tutorials online to make the duffle bag with lining. I machine stitched the lining to the bag, and hand sewed at the sides near the zipper ends for a clean finish, as I knew I would never get it neat with the machine. I found the construction pretty simple on the hole, considering I'm not an expert in the bag-making area. However I really struggled when I was sewing the top and bottom panels to the side panels, but eventually I got there. That was the only real hiccup I faced. If I'd have to change something about mine, I wish I would have chosen navy for the pocket lining as I did the outer pocket - not the MM Mirror Ball fabric as I did. It's only a small thing, but it shows through the front at some angles and it really bugs me. I actually re-did the pocket flaps while I was making for that reason but didn't bother to redo the main pocket section. I've also not added the snaps for the pockets yet, I initially forgot all about them when I took these photo's but now I'm kind of liking it without? I may add them at a later date. 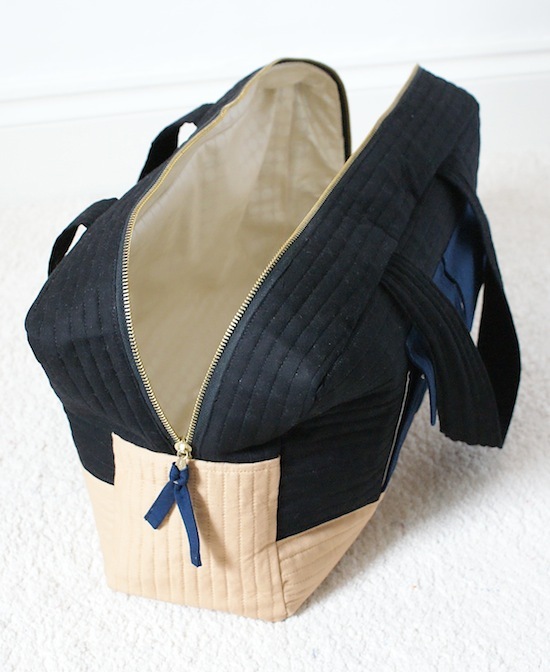 I did add a coordinating navy zipper pull, which I think may be my favourite part! Cargo Duffle - Pattern by Anna Graham, available here. - Head over to C'est la vie's blog and follow her sew-a-long. 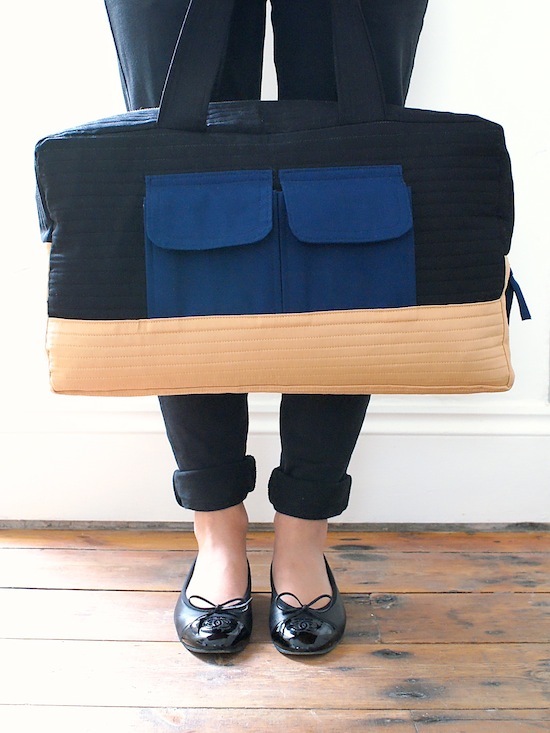 She's amazingly gone through every step of making the duffle bag and broke it down in easy peasy instructions. I don't think I could have done it without that! - I used this tutorial by Small Town Thread for the lining addition. I'm a visual learner, so I need pictures - even simple steps always helps with a photo! 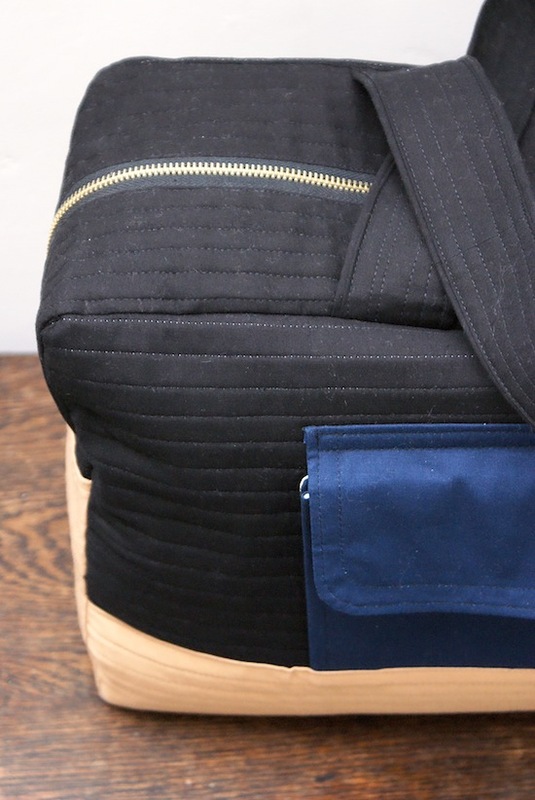 - Make sure you have the latest Cargo Duffle bag pattern printed. I had the older one initially when I was at the cutting stage, doh! and later downloaded the newer one which has more detail and in assembling the bag and making the pockets. Oh, and much simpler cutting instructions. Essential. - Anna has some great tips where people have been getting into trouble on construction in this post here. - Label your pattern pieces. I cut up bits of paper with 'bottom gusset' etc pinned to each section and had it all laid out in piles on the floor which really helps, if like me - you chose to use a lot of one colour fabric. - Square up your front and back panels. They can get wonky after the quilting section, so make sure they are definitely squared. It makes assembling the front/back panels with the gussets a lot easier, and you're less likely to get bunch's - and a wonky shaped bag! (which I think mine is!). - Use matching thread on the assembly section, I accidentally had a white thread in my machine when I first tried only to realise it showed through against the black. - Not essential, but personally I would say use a metal teethed zipper over plastic. They give a more professional finish and are more durable in the long run. 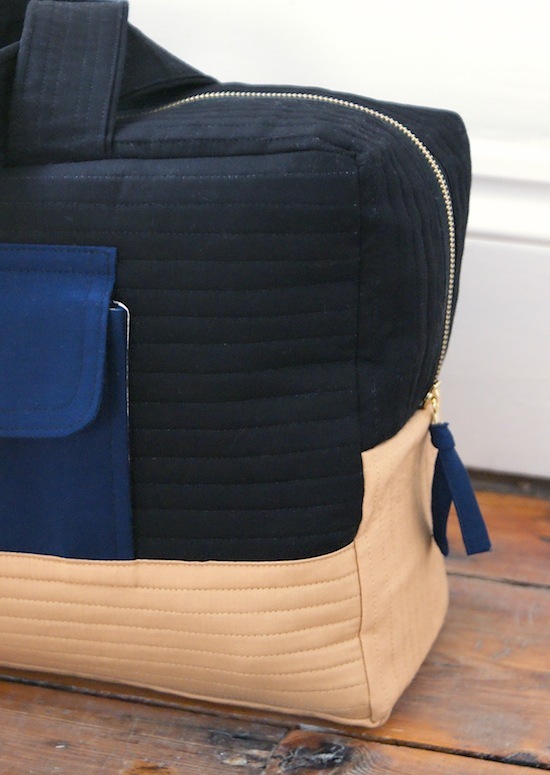 I love the look of your cargo duffle, and I'm almost tempted to make one, except, I still have to re-finish my Weekender bag which I detested making, and i'm not inclined to make another bag just yet..... :o). Good Luck making your next one. Well done!!! I enjoyed making mine, too and like you had a little struggle with sewing round sides to square fronts but it's all good and I love mine! Your lining is ace! Thanks for all the tips and links! I exported them all in PDF form so they can all go on my iPad to follow along. LOVE this bag!! Great bag! And I love the tips that you shared - I could have benefited from squaring mine up too, next time I will. And I love the idea of a neutral colored bag with a neon pop of some sort - I'll look forward to seeing that too! I like this bag. Looks quite different. Nicely designed bag. I was looking for sports bags. I think we can use this. Do their ocean cargo deliveries arrive in good condition? Choosing a cargo shipper with an excellent reputation is the first step in making a good choice for your overseas move.